What Jesse Pinkman says, the rest of us do. 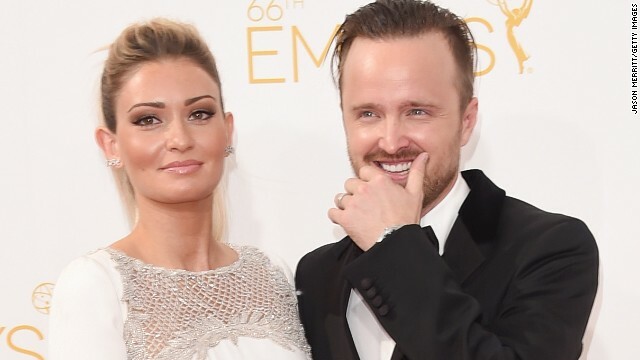 After Aaron Paul gave a shout-out to his wife Lauren's anti-bullying organization, the Kind Campaign, during his Emmys award acceptance speech Monday, the flood of curious observers reportedly temporarily crashed the site. We've learned a lot of lessons from Bryan Cranston's Walter White, but class hasn't been dismissed just yet. The actor is now working on a memoir about his years on AMC's celebrated drama, according to the New York Times. 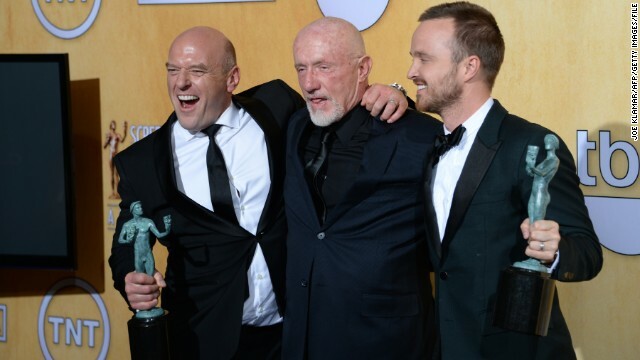 "Breaking Bad's" Dean Norris, Jonathan Banks and Aaron Paul show off their cast win at the 2014 SAG Awards. 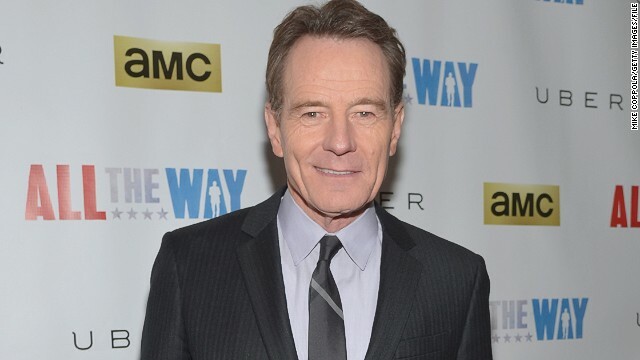 AMC's spinoff of "Breaking Bad" is plucking its cast from the original show. Deadline reports that Jonathan Banks, who portrayed the PI/fixer Mike Ehrmantraut, is going to reprise his role in this year's "Breaking" prequel series, "Better Call Saul." 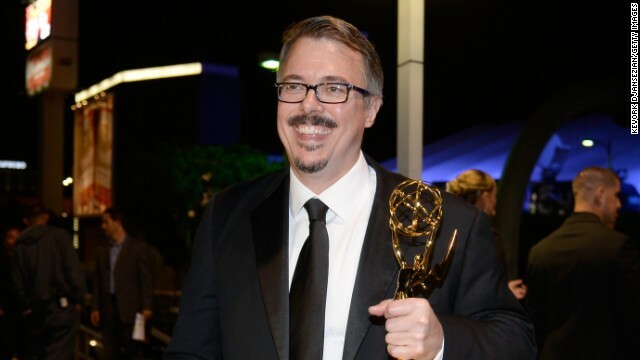 Vince Gilligan hasn't broken all the way "Bad." When it comes to the fate of Jesse Pinkman from his acclaimed AMC drama "Breaking Bad"– which just ended its run in September after five explosive seasons - the series' creator wants to go against the obvious and believe everything turned out all right for "the kid." After facing so much drama on "Breaking Bad," Anna Gunn's looking to lighten the mood. The Emmy-winning actress has lined up a post-"Breaking Bad" role, and it's on Mindy Kaling's Fox comedy, "The Mindy Project." We might not have said goodbye to "Breaking Bad's" Walter White after all. 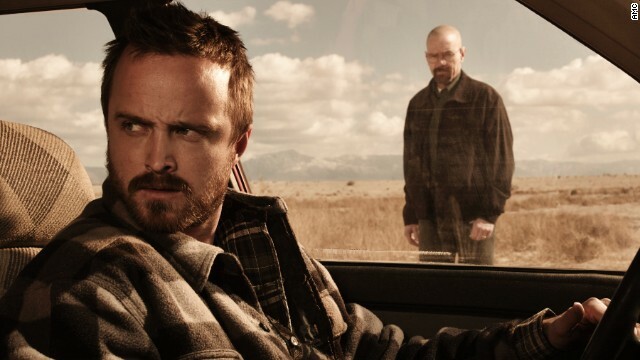 Vince Gilligan revealed in an interview with the Hollywood Reporter that both Bryan Cranston and Aaron Paul - who played meth pushers White and Jesse Pinkman, respectively - are both interested in making appearances on the "Breaking Bad" prequel spinoff, "Better Call Saul."